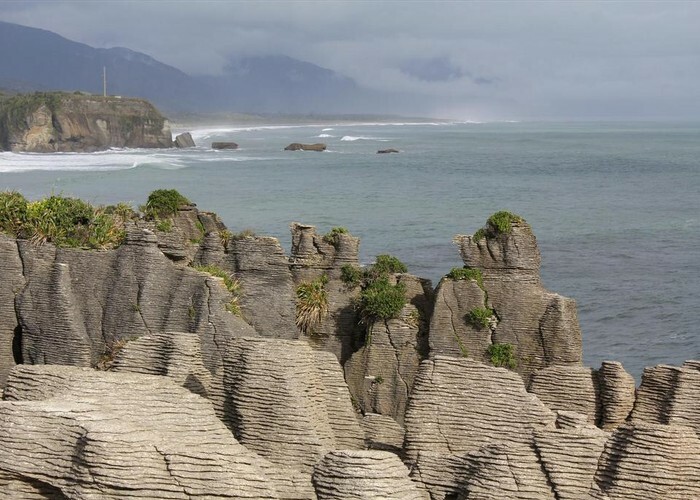 The famous Punakaiki Pancake Rocks. Blowholes, sea cliffs. Pancake Rocks • By Matthew. Licence: cc by-nc-nd. Added 27 May 2002 by MatthewMatthew. 1 revision 11 November 2005 by MatthewMatthew. 241 views in the past year (20 per month).